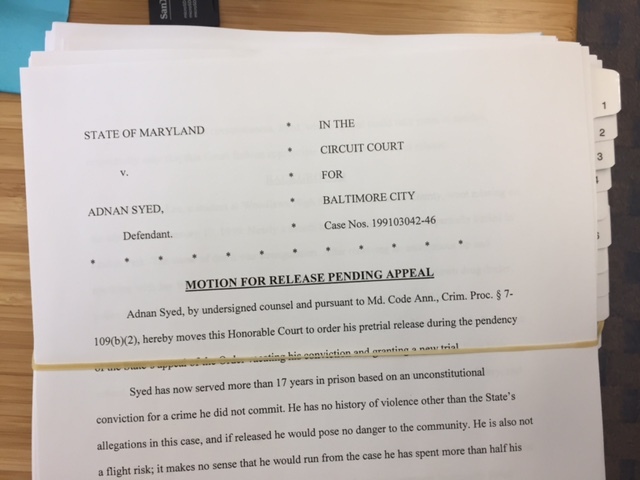 Adnan Syed today filed a Motion seeking to be released on bail while the State’s appeal is pending and while he awaits a new trial. The Motion was prepared by Brown & Nieto and Hogan Lovells, and was filed in Baltimore City Circuit Court. For media requests please contact Pamel Munoz at (312) 252-4115.